73129 approaches Hailes with the 09:00 Winchcombe to Toddington empty coaching stock on 24 September 2005, during the Gloucestershire Warwickshire Railway's Autumn Diesel Gala. 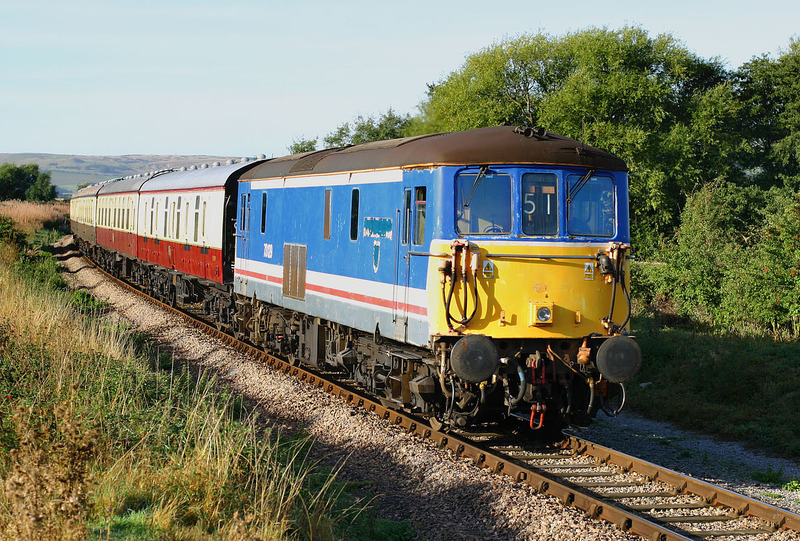 A former Network SouthEast 750v DC third rail electric loco is something of an incongruous sight at the foot of the Cotswold Hills! You can quite clearly see where the former City of Winchester nameplate and crest was affixed to the side of the loco. Obviously it is running here on its 4 cylinder 600hp diesel engine.